Fuller transmission, Spicer, Rockwell, Eaton, Mack, Fuller transmissions or differentials. Fuller transmission, Spicer, Rockwell, Eaton, Mack, Fuller transmissions or differentials. We are your fuller transmission experts, Differential, Rockwell, Eaton Fuller, Spicer Transfer Case. Transmissions Fuller, Eaton, Rockwell, Mack, Spicer, Differentials Dana, TTC, Fabco, Marmon Harrington, Isuzu, New Process, Clark, Borg Warner, Allison, Ford, International, Navstar, IHC, Oshkosh, ZF, FWD, Mercedes, Muncie, and Chelsea. Parts, sales, service and repair. new, used and rebuilt units for sale. If you are looking for truck parts, visit our newly opened online truck parts store to order all the parts you may need. Rebuilt transmissions, differentials, ring and pinion gears, rear ends, gears of all kinds, transfer cases, steering gears, power take off units, PTO, spindles and hydraulic pumps for: Kenworth, Freightliner, Peterbilt, Mack Sterling, Western Star, Volvo, GMC and Dodge to name a few. We repair axle housing steering axles, axle shaft, axles. On site fully stocked parts department offering rebuild bearing, gasket, seal, kits and parts for all makes and models. We can rebuild any differential, transmission or transfer case on the market today. 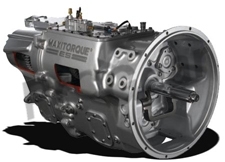 We stock Fuller transmission, Spicer, Rockwell, Eaton, Mack, Fuller transmissions or differentials. Parts for heavy, medium and light duty trucks including all makes and models and hard to find parts and outdated units. Thousands of Fuller Transmissions, Differentials and Transfer Cases in stock, ready to ship today. We can deliver your unit by tomorrow. We also ship Worldwide. We are your one stop gear shop. If you would like to link to our site, you can copy/paste your choice of code below into your website. Thank you for spreading the word!